Until we're all able to shower from bed, Waterpik's new Showerpik is the next best thing for simplifying our morning routines. It works like any other Waterpik, blasting the spaces between your teeth clean like a dental floss fire hose. 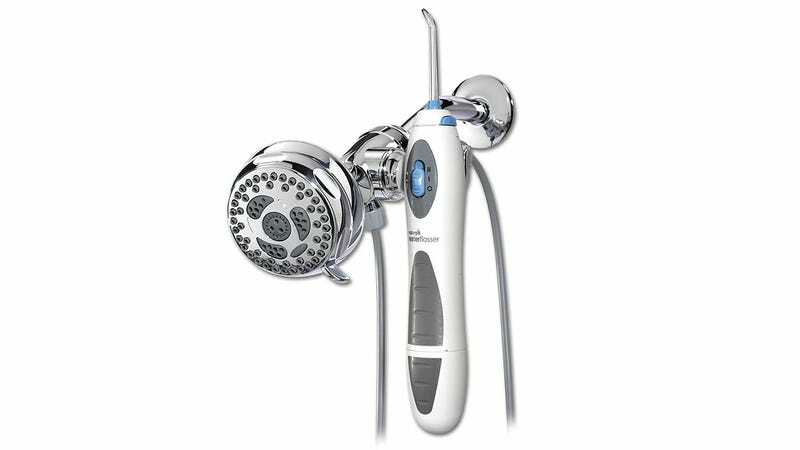 But since it taps into your existing shower head you don't need to keep a reservoir of water nearby.